The following article guide will provide information on how to perform a DNS lookup. Simply type in your domain/subdomain name, select the type of record you are looking for, and allow the search to run. Keep in mind though that DNS prorogation can take up to 24-48 hours so do not be alarmed if you are seeing incorrect or inconsistent DNS records if you have made a recent change. In this example we are using Terminal which is pre-installed in Mac OSX. 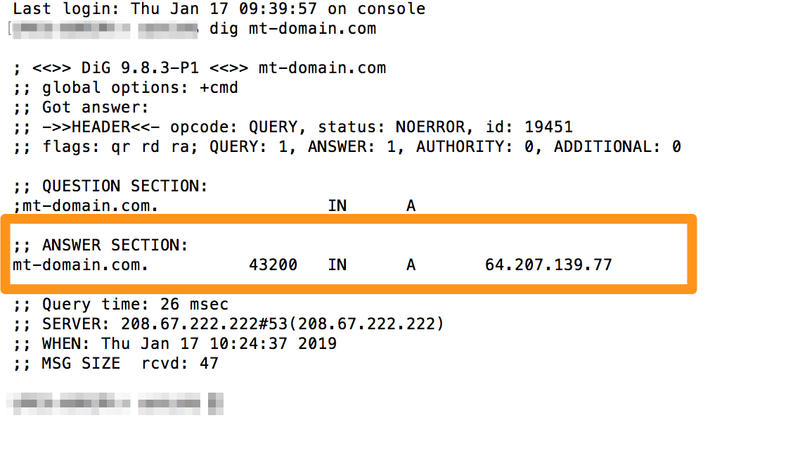 Type "dig", the record type, and your domain/subdomain. Then press Enter. Your terminal should prompt you with the answer to your dig query.